The Citizen Action for Results, Transparency and Accountability (CARTA) Program was funded by a US$1.9 million grant from the Japanese Social Development Fund (JSDF). The grant was managed by the World Bank. CARTA started in mid-2011 and will be completed by November 30, 2015 after it was extended by more than one year. The World Bank chose the Partnership for Transparency Fund (PTF) to implement the CARTA Program. The CARTA Program objective was “to enhance the development impact, sustainability and client ownership of pro-poor projects financed by the World Bank in Bangladesh and Nepal, by promoting civil society organizations’ engagement, experience and capacity to demand better governance.” The subprojects are the main reason for CARTA, by far the largest component, and the component where impacts can be clearly assessed. 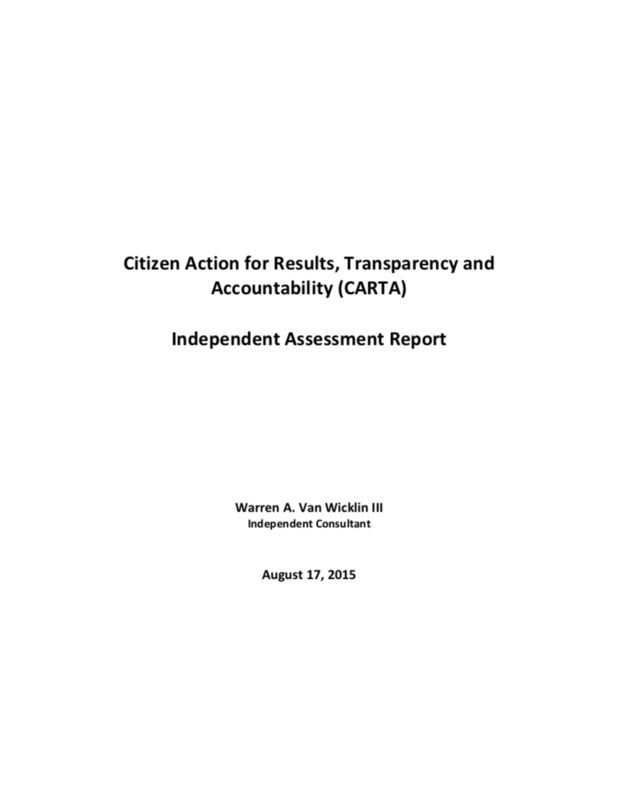 As part of the grant agreement, PTF was required to contract an independent assessment of the subproject component of CARTA. This report is on that assessment. This assessment was based on a desk review. It is based on a review of documents and interviews with a variety of stakeholders.